The Adventure Capital of the World! Our Queenstown accommodation is just a 5 minute stroll to the town centre, for easy access to the lake, shopping, dining, walking tracks and sightseeing. 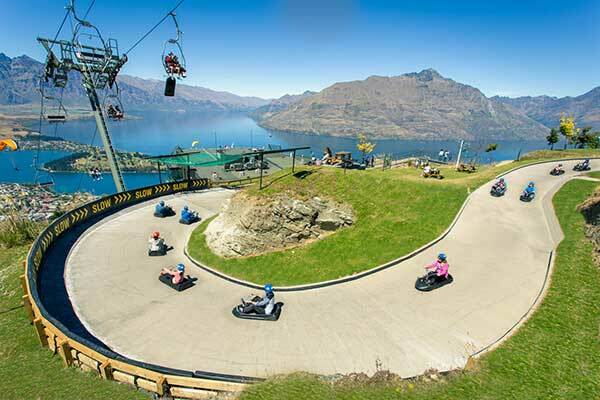 Here in Queenstown, you’ll be spoilt for choice with activities. New Zealand’s adventure tourism capital has so much to offer – there really is something for everyone. Most activities run all year round including bungy jumping, jet boating, rafting and skydiving. You can even combine these trips to save time & money with Queenstown Combos. Also popular all year round is the Skyline Gondola & Luge. Take in the spectacular view over Queenstown, Lake Wakatipu and the surrounding mountains. While you’re at the top you can enjoy a delicious buffet lunch or dinner at the Skyline Restaurant. For the more adventurous, there is luging and The Ledge Bungy. After the sun sets, get a closer look at the galaxy and beyond with the Skyline Stargazing tour. Milford Sound is NZ’s most popular tourist destination. Take a day trip from Queenstown on a coach tour with Mitre Peak Cruises. Otherwise, take a scenic flight with The Helicopter Line or Milford Sound Scenic Flights and revel in the stunning views over snow-capped mountain tops, alpine lakes and over the famous New Zealand Fiords. During the summer months, hikers and cyclists can enjoy a number of tracks through native NZ beech forest. 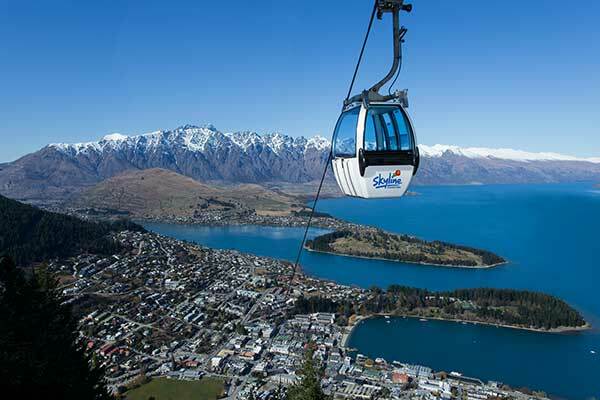 The Skyline Gondola also offers access to the Queenstown Bike Park. During the winter months, skiers and snowboarders can take to the slopes at four ski resorts; Coronet Peak, The Remarkables, Cardrona & Treble Cone. Spring and Autumn are also popular times to visit with the changing colours providing a stunning backdrop to the town. This is a great time to sample the local boutique wineries in the region which are famous for their Pinot Noir and other varietals. 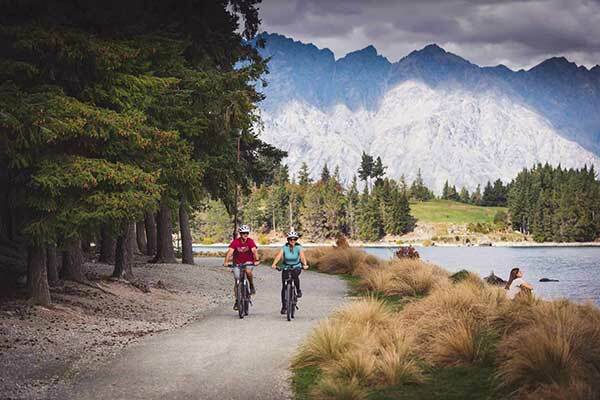 Queenstown is a lively town and plays host to many local festivals and events throughout the year, from the infamous Queenstown Winter Festival to the Arrowtown Autumn Festival, Queenstown Bike Festival and much more. Whether you are interested in food and wine, music, arts or the outdoors there is bound to be an event in Queenstown for you!